The San Francisco Department of Elections would like to provide you with important information about the upcoming November 4, 2008 Consolidated General Election. Early voting began October 6, 2008 on the ground floor of City Hall. 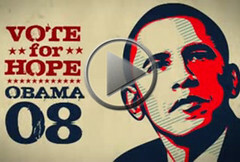 The last day to register to vote is October 20, 2008. If you have moved, changed your name, or would like to change your party affiliation, you must re-register to vote. 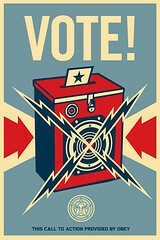 The last day to request a vote-by-mail is October 28, 2008. You can now confirm your voter registration status online using the voter registration status lookup tool. The look-up tool will display information on your party affiliation and permanent vote-by-mail status. It will also provide you a sample of your ballot and the location of your polling place. For more information on the upcoming election, visit the Department’s web site or call (415) 554-4375. Categories: Art, Events and Culture, Politics, Finance and News | Tags: politics, remember to vote, san francisco, video, vote, voting | Permalink.